Heavy Duty (3/4″ Thick) Polyethylene Unit Is Compatible With Fuel And Many Other Chemicals. 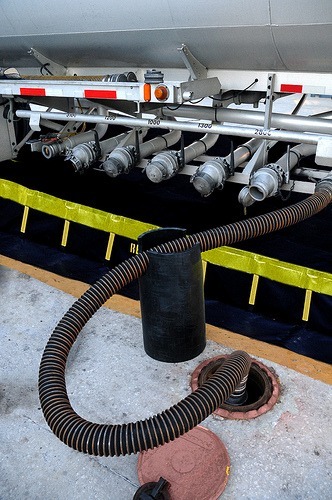 Cutout In Top Of Unit Can Handle Up To 6 1/2″ Hoses-Keeps Hoses Secure. Wide (13″ Diameter) Base And Substantial Weight Keeps Unit In Place And Upright.